Applying for credit is pretty straightforward. After you apply, the lender will check your credit score and determine how risky of a borrower you are. But how much weight does your application carry, and can a great application outshine a damaged credit score? Can you lie your way to a new credit card? Here's what you can expect if you lied on a credit application. When it comes to applying for any credit-related products, your credit report trumps everything. You could make hundreds of thousands of dollars every year, but if your credit score is in the gutter, you won't be approved for anything! So even if you lie on your credit application for new credit, it's all going to come down to what the lender sees on your credit report. 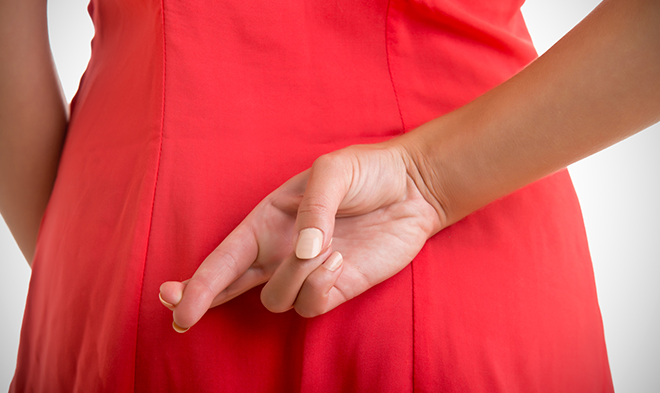 Can you get into trouble for lying on your application? Technically, yes. Anytime you lie about anything related to money or commerce it's considered fraud, but it sounds scarier than it is. In Canada, a credit card company is unlikely to report an error on an application. If a credit card company suspects you of lying, they will likely ask for verification of the facts before processing your application. The only thing worth lying about on your credit report is your income, and if the lender suspects that you've done so, they may ask to see pay stubs or your most recent tax return. If you cannot provide these documents, you can always ignore their request with no further consequences. The application will likely be trashed and forgotten by the lender. If you've lied on your credit report, there's a chance that your name could be flagged in their system. This means that even if your credit score improves, you still won't get a credit card from this company. In short, lying on credit application is a waste of your time and the lender's time. The best route to getting approved for credit is to build your credit score. This can be accomplished surprisingly quickly and relatively painlessly, all you need is a little determination and discipline. If you're ready for better credit, start with a secured savings loan. Don't worry, nearly everyone is approved so there’s no need to lie on your application. Click here to get started! Have you ever considered lying on a credit application? Let us know in the comments!